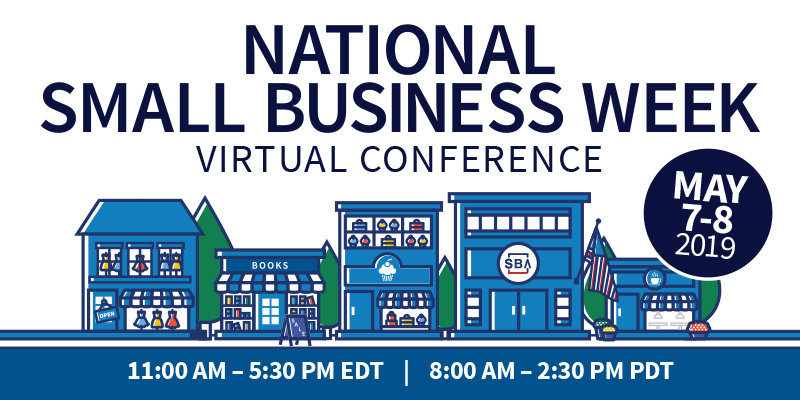 WASHINGTON, Nov. 7, 2018 /PRNewswire/ -- Thousands of entrepreneurs and small business owners are slated to attend tomorrow's Small Business Success Virtual Conference, hosted by SCORE, the nation's largest network of volunteer, expert business mentors. Held on Nov. 8 from 11 a.m. to 5:30 p.m. ET, the Small Business Success Virtual Conference replicates a real-life conference experience without the hassle of traveling. Programming will include keynote speeches by business experts, one-on-one business mentoring, networking chat rooms and exhibitor booths. Thousands of entrepreneurs and small business owners are slated to attend tomorrow’s Small Business Success Virtual Conference, hosted by SCORE. Held on Nov. 8 from 11 a.m. to 5:30 p.m. ET, the Small Business Success Virtual Conference replicates a real-life conference experience without the hassle of traveling. Programming will include keynote speeches by business experts, one-on-one business mentoring, networking chat rooms and exhibitor booths. Small Business Loan Applications - Why Are They Asking Me That? "I have already recommended this Virtual Conference to a few small business owners. It was an incredibly valuable networking and learning experience. Plus, it saved (me) time and money by not having to travel." "I loved the networking and connected with a number of business owners, with whom I can share experiences, and we can support each other."